Can you tell which country is missing? The kids were watching some of our old You Tube videos on our Fire TV this morning before school and they found this one from May of 2011. Parrot is a Geography wiz. When he was three he knew all fifty states, where they were located and their names. Today, he knows all the state capitols and most of the countries of the world. He just completed a world puzzle a few weeks ago. 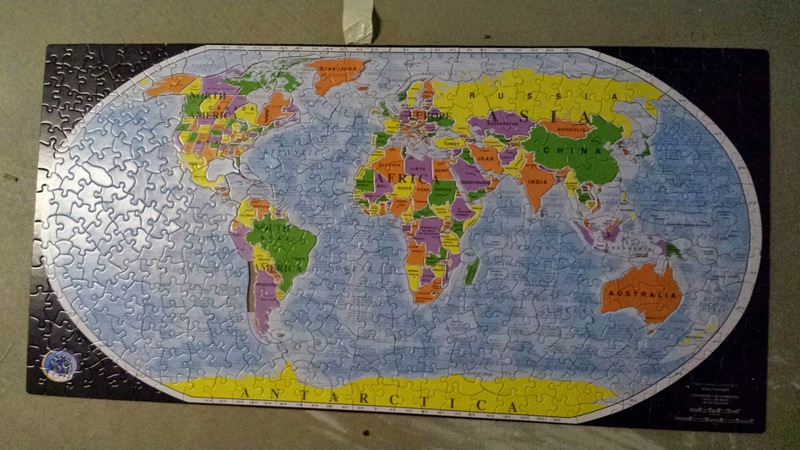 The puzzle pieces are in the shapes of the countries so you need to be familiar with world geography in order to put it together. Here's the fun video of Parrot when he was three. It is about 2 1/2 minutes long.